Affirmation: I spend time in nature. I have an intimate connection with Mother Earth and tools for natural healing. 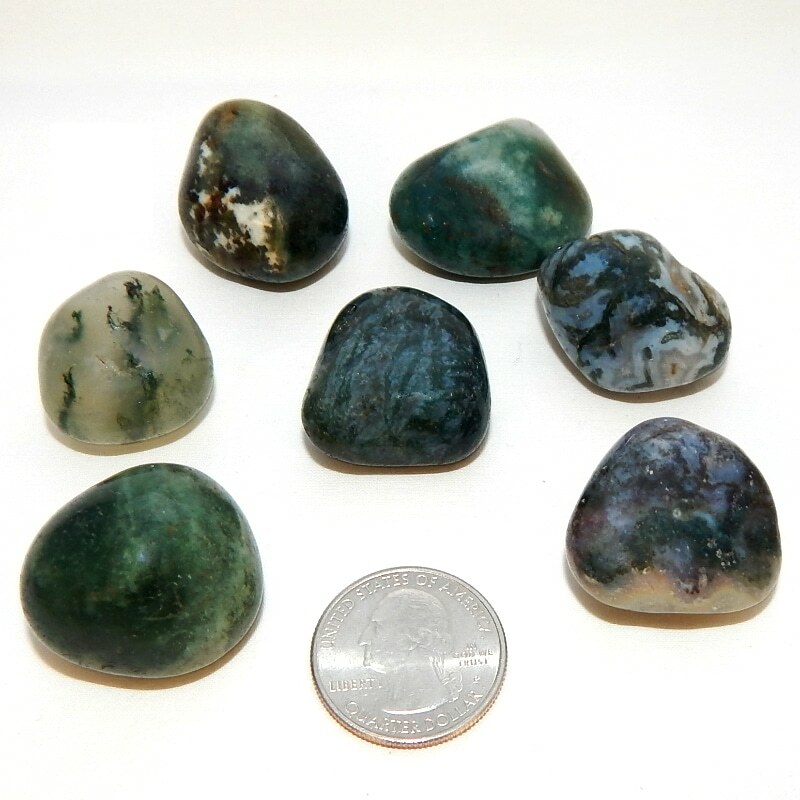 About the stone: Green Moss Agate is silicon dioxide forming into microcrystalline quartz forming colorless to white gemstones with dendritic, or branch-like, inclusions. 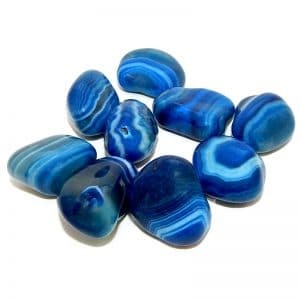 Gemstones are transparent to translucent. Mental uses: When you aren’t able to make it outdoors, gaze into the stone’s inner structure and imagine that you’ve stepped into a forest or glen for a quick break. 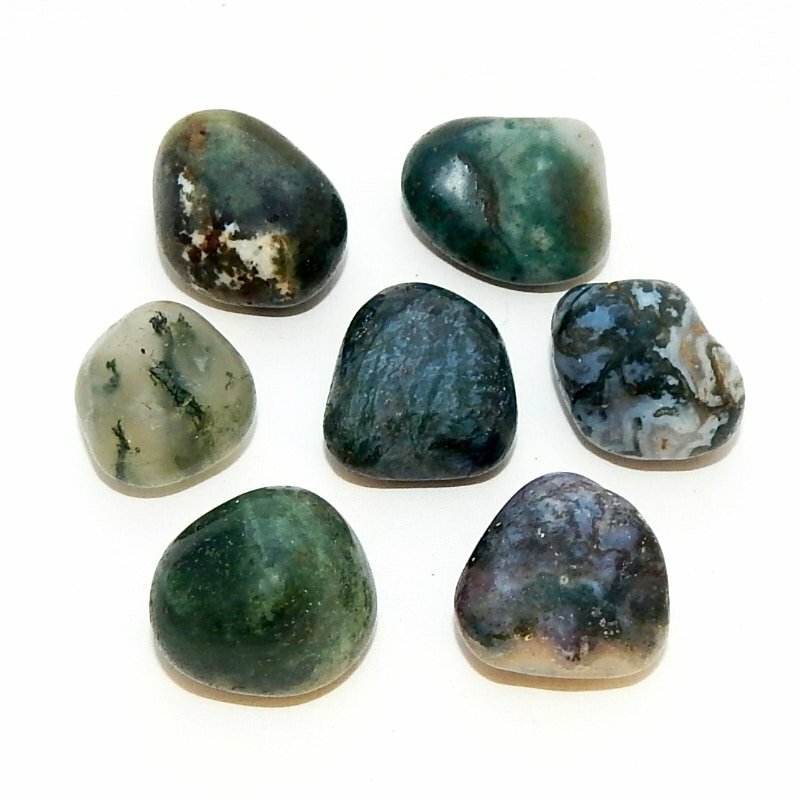 Emotional uses: Infuse this stone with an intention to take time to walk in the grass, visit the water’s edge, or embrace a tree. Physical uses: This stone aligns you with nature and gardening.